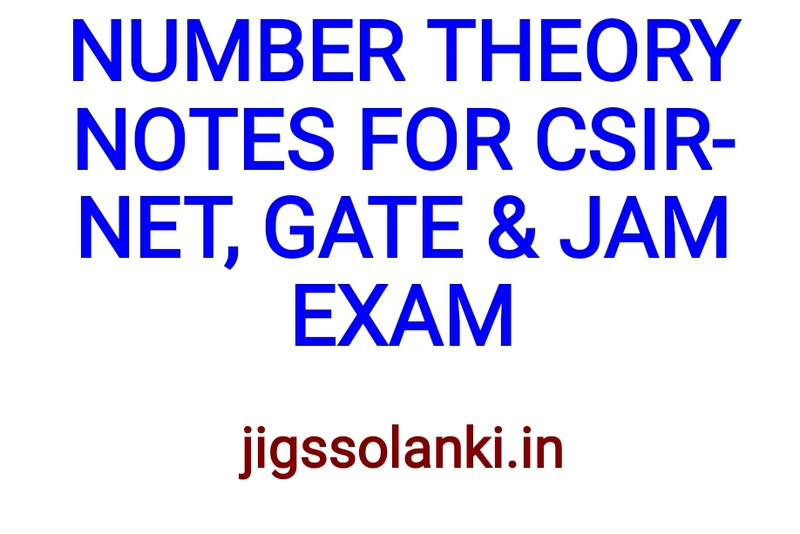 Number theory notes for CSIR-NET, GATE and JAM EXAM. This note is in hand written note format. This is useful for all EXAM. 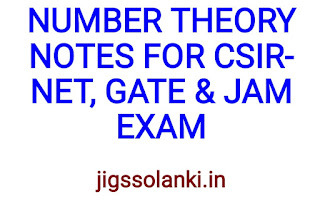 Number theory or, in older usage, arithmetic is a branch of pure mathematics devoted primarily to the study of the integers. It is sometimes called "The Queen of Mathematics" because of its foundational place in the discipline. Number theorists study prime numbers as well as the properties of objects made out of integers (e.g., rational numbers) or defined as generalizations of the integers.